This book is hard to categorize. Is it chick-lit, family drama, suspense, maybe a bit of a psychological thriller? Whatever genre you fit it into, it will still be a great story. Adrian is a serial husband. He has two families and this is his third wife. Are they going to have a child? Do they want to add to his ever growing family? But then, Maya, his third wife dies. Was it a suicide? Was it an accident? Did someone push her in front of the bus? When Adrian’s son finds a folder of hate emails on her computer, the waters get muddied and Adrien sets out on a quest to get to the bottom of the mystery. At first I thought that this family was too good to be true. Adrian and his two previous wives, Susie and Caroline, their five children, and his third wife Maya, all seem to have a cohesive relationship that is hard to believe. Three women, all having been married to the same man getting along so well? I can understand the siblings getting along, but do they really? Who is sending the hate emails to Maya? It has to be someone close to the family because they know too much. And then who is Jane? This stranger that comes to check out Maya’s cat to see if she wants to bring it home. She appears to be stalking the family, but why? As we learn more about Adrian, his children and ex-wives, we learn that all is not as it seems. The children are troubled, the wives a bit jealous and Maya was not as happy as it seemed. I enjoyed this story, never knowing exactly where it was going. As I said earlier, is it a mystery? How does Maya really die and can Adrian learn to live without another wife and family? This was not my first Lisa Jewell book and it won’t be my last. I enjoyed the journey this story took and I recommend it to lovers of twisty stories. About the Book (From Goodreads): In the early hours of a summer morning, a young woman steps into the path of an oncoming bus. A tragic accident? Or suicide? 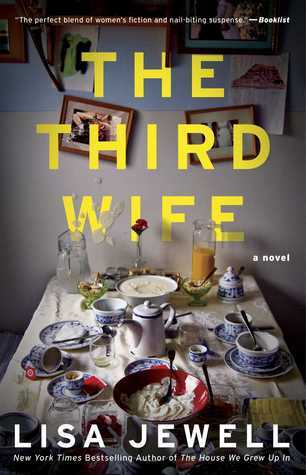 With psychological nuance that gets into the heart of its characters, The Third Wife is a gripping story about a man seeking the truth behind his seemingly perfect marriage and the broken pieces left behind. Fab review! I remember really enjoying this one when it first came out. Thanks Nicki. After reading Watching You, I checked and this one was available as an audiobook on Hoopla, so I downloaded it. Compelling review Carla. I’ve enjoyed other titles by Lisa Jewell but haven’t read this one yet. Looks like I have a treat in store. I think this was one of her earlier books and I enjoyed it. I hope you get a chance to read or listen to this one and enjoy it as much as I did. Thanks Sarah, maybe I should highlight it as a Throwback Thursday even though I just read it. Great review, Carla! I read this earlier last year. I enjoyed it but noting of my favourite by Lisa Jewell. I thought it was hard to categorize too! Thanks Brenda. Not my favourite either, but still a good one. Wonderful review, Carla! Now that I’ve read Watching You, I definitely want to read more of her books. Happy to read you are a fan. I am pretty sure I own this one. Thanks Jennifer. There are a few of her older ones on Hoopla and Overdrive so I will see what else I can find. I do like her writing. Oh I have not read this one! Lovely review! That is a good way to describe it. Oh wow this sounds good! I’ve only read the most recent Lisa Jewell but I bought another and I think I should buy this as well!!! I listened to this one on hoopla and thought it was well done. I think you would enjoy this one Mackenzie. Brilliant review of what sounds like an intriguing book, Carla . . . very tempted! Thanks Elaine. 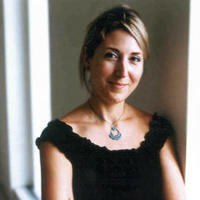 Lisa Jewell is becoming one of my go to authors. I love her books because they do cross so many genres! I can’t wait to read this one! Great review!! Thanks Mac. It is a couple of years old so should be available pretty much anywhere. I hope you enjoy it. I’m not one for psychological thrillers, but this one has enough other elements that I think I might like it. In my transition from a naive child (of about 40?) to a hardened woman (oh, I hope not! ), I became fascinated with the “Sunday School” faces people put on to show how happy they are and how great their lives are. And that was before social media kicked that to the extremes! This book sounds like the perfect example of “you never know what goes on behind closed doors.” Excellent review! Thanks Linda. Very well put, I think that is exactly what it does. I like that expression “Sunday School faces”. Excellent review, Carla! This sounds so good. I’ve read one other book by this author and thoroughly enjoyed it. Hadn’t even heard of this one until now! This is one that is a couple of years old, but I really liked it.